We've compiled six fantastic podcasts that are all about the business of books. Ebooks, sales trends, book marketing, and tonnes of other book publishing-related topics are covered across the hundreds of episodes in these podcasts. The shortlist for the Rogers Writers’ Trust Prize for Fiction were announced today at a press conference held at Ben McNally Books in Toronto. The shortlist for the Journey Prize, which recognizes short stories by emerging Canadian writers, was also announced at the event. A look at the Young Adult titles that are taking the lists by storm this year. Are John Green and Veronica Roth driving the charge, or are a spate of recent book-to-film adaptations responsible for the surge in YA sales? The shortlist for the Hilary Weston Writers’ Trust Prize for Nonfiction was announced last week at a press conference in Toronto. Congratulations to the five finalists! Interested in how this literary prize affects sales in Canada? Check out some highlights from BookNet Research in this blog post. According to data from The Canadian Book Consumer 2013: Digital Sales and Trends, 17% of books purchased in Canada in 2013 were ebooks. Canadians still prefer to read ebooks on dedicated e-reading devices, but 8% of our survey respondents say they do read on their mobile phones. Want more juicy details about digital reading? Check out our infographic. Toronto-based “visual storytelling” platform Storybird has garnered a large and engaged online following around the simple premise of enabling users to read, write, and share their own picture books. 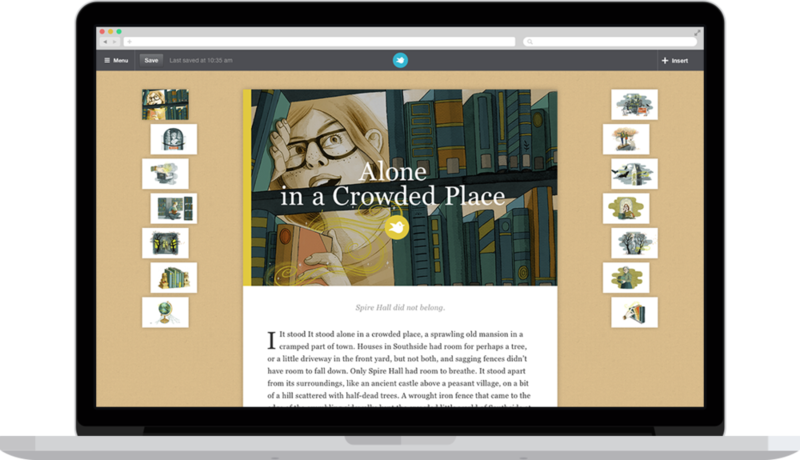 We spoke to Mark Ury, Storybird’s CEO and cofounder, about reader trends, monetization, user experience design, and more. OK, so you’ve heard about Thema, the new international standard for book classification, but you’re already using BISAC. Is there an easy way to find Thema codes for your titles based on the BISAC codes you already have? Never fear: the BISAC to Thema Translator is here! This week, we have an interview with Erin Mallory, Manager, Cross Media Group at House of Anansi. Anansi has just launched an app for the Massey Lectures, and Erin agreed to share some of the background behind the app’s creation.